Good Power Bank : Smart,Elegant and fashion design. 1.5A / 2.4A Output and 2.4A Input: Dual iSmart USB ports charge your phone and tablet simultaneously at an optimized charging speed. New power bank can provide multiple times charge for most cellphones. On-the-go designed, you can take it everywhere you go and use it indoor and outdoor, at home or on travel, it can be a great holiday gift for friends and family. Best Rated Power Bank : Polymer cell, Multi-purpose safety protection system. Core intelligent protection, overcharge protection, discharge protection, leakage protection. Safe and reliable, practical and long cycle life., more than 500 times the charging and discharging. Nothing is without both advantages and disadvantages and no matter how gigantic or minute one choice is, they should always be taken into consideration with an open and neutral mind. It is really the only way to avoid regret in the future. Wasting money is no joke these days and one needs to think whether a good power bank is really necessary. Therefore, it can serve you multiple numbers of times. For instance, you can get your phone charged on more than one occasion. Also, if you are going for a holiday over the weekend, a Chinese new power bank can last you during the entire trip. Looking for ideal Good Power Bank Manufacturer & supplier ? We have a wide selection at great prices to help you get creative. 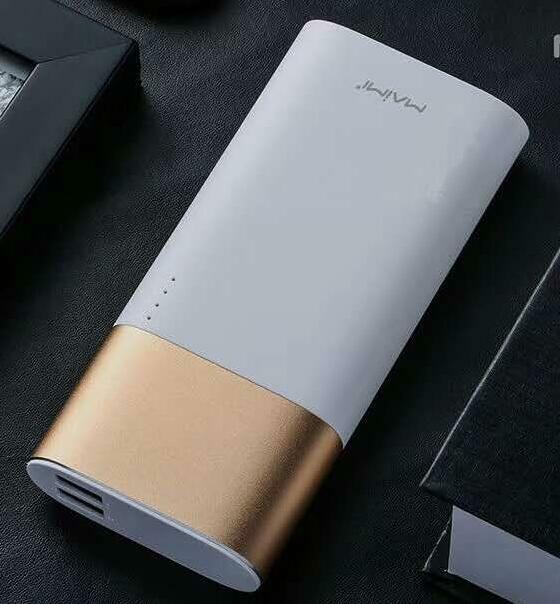 All the New Power Bank are quality guaranteed. We are China Origin Factory of Best Rated Power Bank. If you have any question, please feel free to contact us.